Ocotillo Wells is an unincorporated community in San Diego County, California. It is 3 miles (4.8 km) west of the Imperial County line on State Route 78 at an elevation of 163 feet (50 m). The name became official in 1962 when it was adopted for federal use by the Board on Geographic Names. A federally recognized variant name, Ocotillo, can cause confusion. The community of Ocotillo, in Imperial County, is only 29 miles (47 km) to the southeast. The ZIP Code is 92004 and the community is in area code 760. 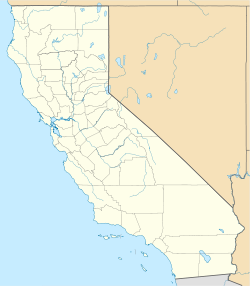 The prefix for wired telephones is 767, which is shared with Borrego Springs. Ocotillo Wells County Airport offers two dirt runways. Runway extents are marked by white paving blocks. The Los Puertecitos Historic Site is on State Route 78 about 1.5 miles (2.4 km) west of the community. Gasoline is available in Borrego Springs (17 mi or 27 km west), in Westmorland (18 mi or 29 km east) and at the Blu-In Cafe (3 mi or 4.8 km east). Gas may not always be available the Blu-In Cafe which, besides the gas station, operates a restaurant, store, and RV park. Gas has not been available at the Blu-In since 2011. Several other small businesses sell off-road accessories and rent all-terrain vehicles. Most businesses in the area are closed during the summer months. My Desert Rose, which was a traditional restaurant located at the intersection of Highway 78 and Split Mountain Road, burned down in 2008. The Split Mountain Store and the Iron Door are located about 1 mile (1.6 km) south of Highway 78 on Split Mountain Road. Both of these businesses are open part-time during the summer and full-time during the cooler months. The Split Mountain Store stocks a little bit of everything including groceries, beer, and parts for sand buggies and trucks. The Iron Door, a small bar, has a private club, two pool tables and serves beer, wine and some food. Countless local artifacts are on display in the bar, where several layers of decorated dollar bills are stapled to the walls.The Iron Door has had some celebrity clientele Clint Eastwood wore an Iron Door shirt in one of his movies. There are no schools in Ocotillo Wells. The community is served by the Borrego Springs Unified School District. The California Department of Parks and Recreation operates the Ocotillo Wells State Vehicle Recreation Area which borders the community. This off-road vehicle area is part of the department's Southern Division, Ocotillo Wells District which is headquartered in Borrego Springs. Free camping is available at numerous locations along State Route 78. The most popular of these are Main Street, Holmes Camp, County Line Road, and Pole Line Road. Each of these areas have ample access to numerous trails that provide a challenge to riders of all skill levels. A wide variety of off-road vehicles can be operated within the park. Any vehicle with a license plate or off-road registration is legal. A map of these locations as well as numerous other trails is available at the ranger station. ^ "Ocotillo Airport (L90) Information". Airport-Data.com. ^ "Borrego Mountain, California", 7.5-minute quadrangle (map), US Geological Survey, 1960. ^ "Parks and Recreation, Department of", State of California 1998 Telephone Directory, (Sacramento, California: Department of General Services, 1998). California State Parks: Ocotillo Wells State Vehicular Recreation Area—SVRA. California State Parks: Map of Ocotillo Wells SVRA. This page was last edited on 15 January 2018, at 03:38 (UTC).